I love to travel. Unfortunately, I’ve only been out of the country a few times. Now that I’m a hopper, it excites me to think of all the interesting cemeteries, I mean, places I’d like to visit. My friend Todd Guenzi also has the travel bug, but he actually goes to the places that I dream of visiting. He’s a great photographer, too, so I get to enjoy seeing pictures of his adventures. 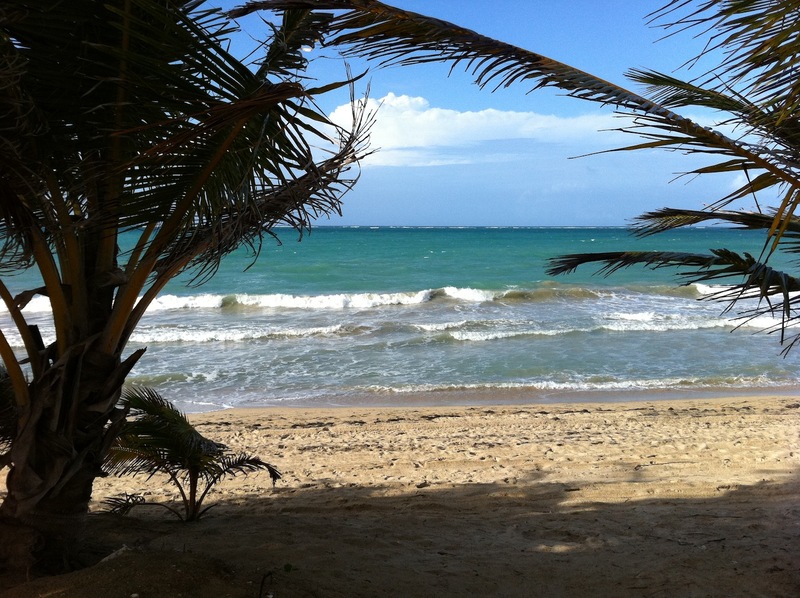 One place he visits often is Puerto Rico, an island paradise I have on my “must go” list. 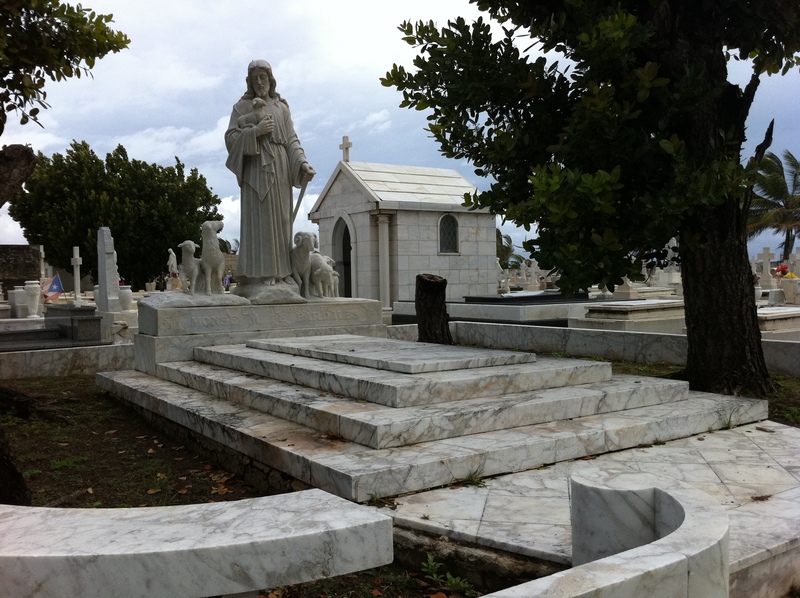 On one of his visits a few months ago, he had the chance to wander around a cemetery called Cementerio Isla Verde that’s practically on the beach. Pretty rare, indeed. When he sent me the pictures, I knew I was going to feature them here eventually. This week, I’m simply going to post these pictures, paraphrasing Todd’s insights. I could not find much information on this cemetery and what I did see was in Spanish (definitely not my primary language). So my usual lengthy research didn’t result in anything worth sharing. 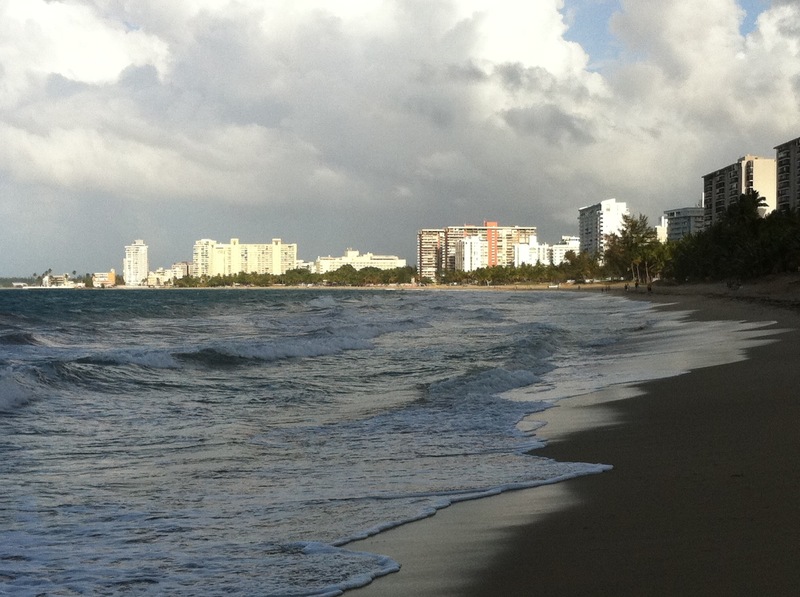 “I was staying in a region of San Juan called Carolina, just east of San Juan. My hotel was on the beach and just about a half a mile up the beach to the west, you could see this cemetery from the beach (fenced from beach to cemetery). There was no access from beach to cemetery, but when I took the avenue walk on the other side, there was an entrance from the main road. So I was able to gain access that way. When you think of paradise, it might look like this. 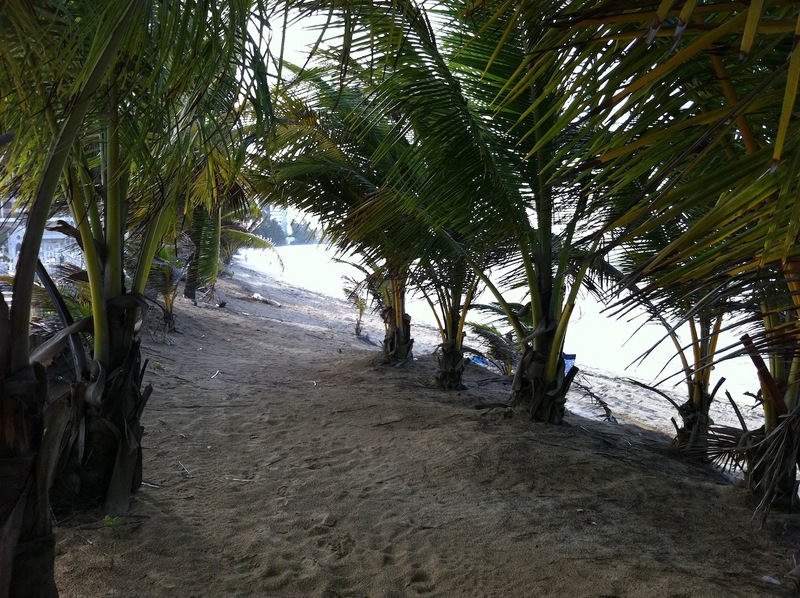 This the view you have with your back to the fence between the beach and cemetery. The cemetery is on the right just a few feet away, and this is the view of Carolina down the beach. The cemetery is on the left looking the opposite way down the beach. 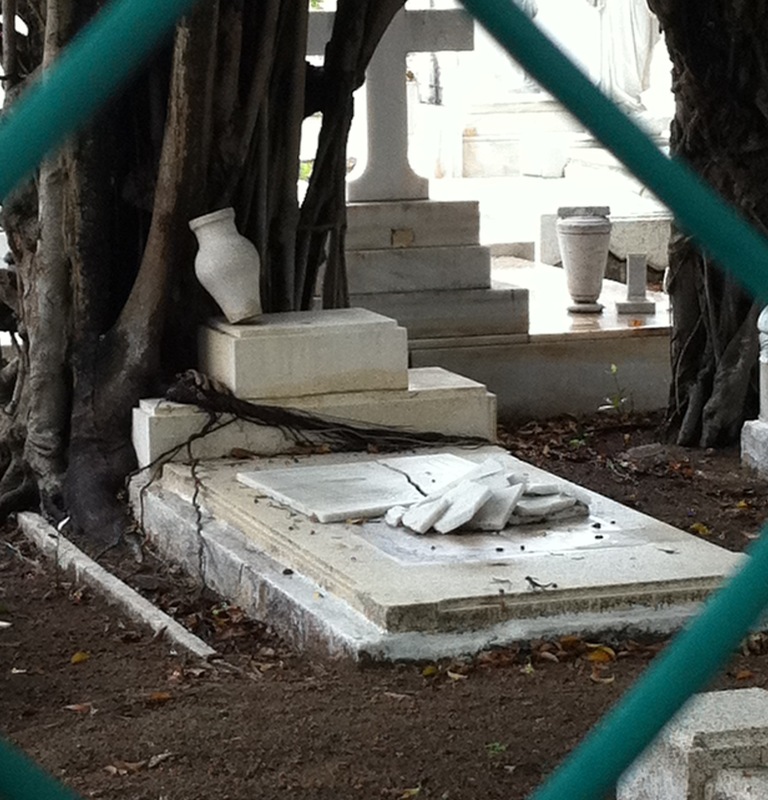 You can sort of make out some of the mausoleums between the palms. This shows you how close it is to the water. 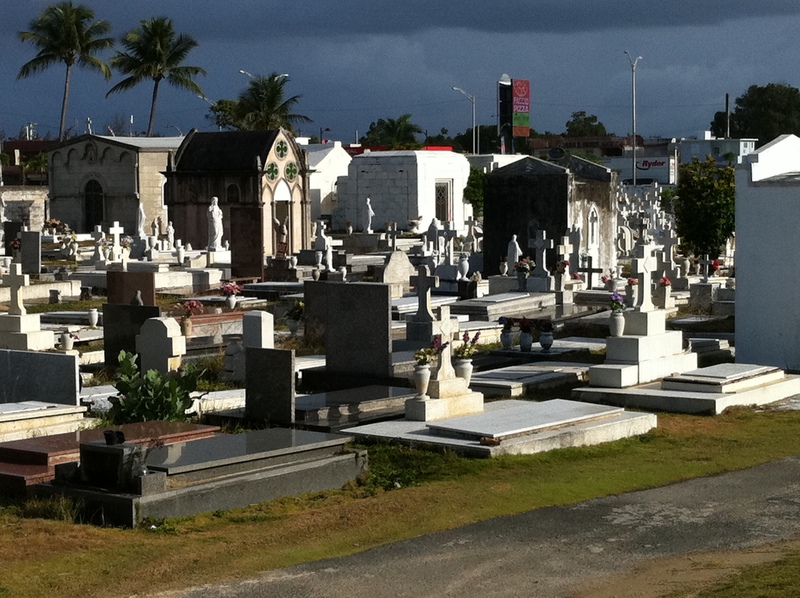 This shows the general view of the cemetery. It’s not really in very good shape as we are accustomed to here in the States. 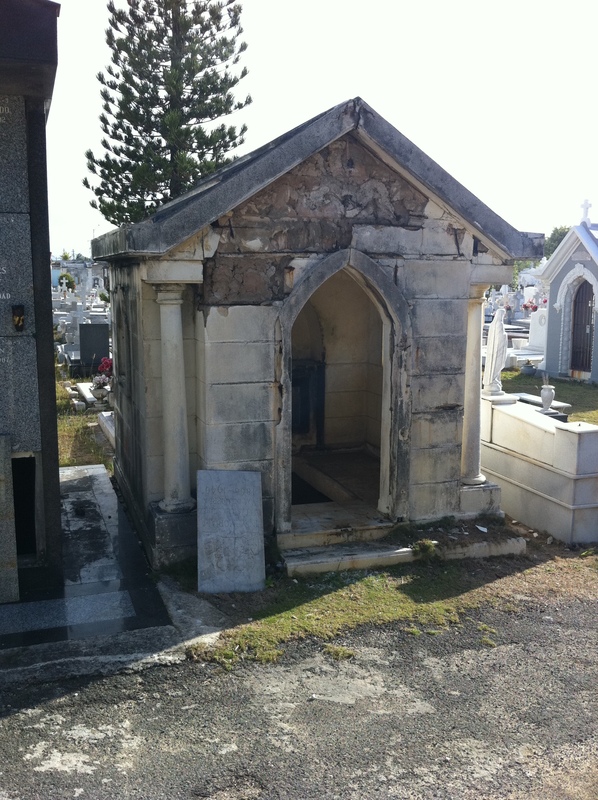 Many of the graves, including mausoleums, have actually been abandoned. Another general view. The billboards and modern lamp posts are from the boulevard just beyond. 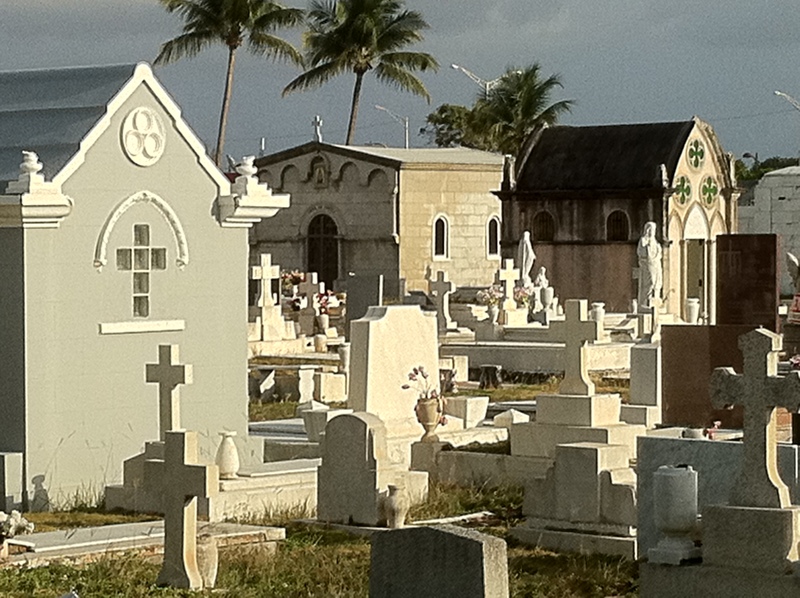 The cemetery is a narrow strip of land between the ocean and the boulevard. 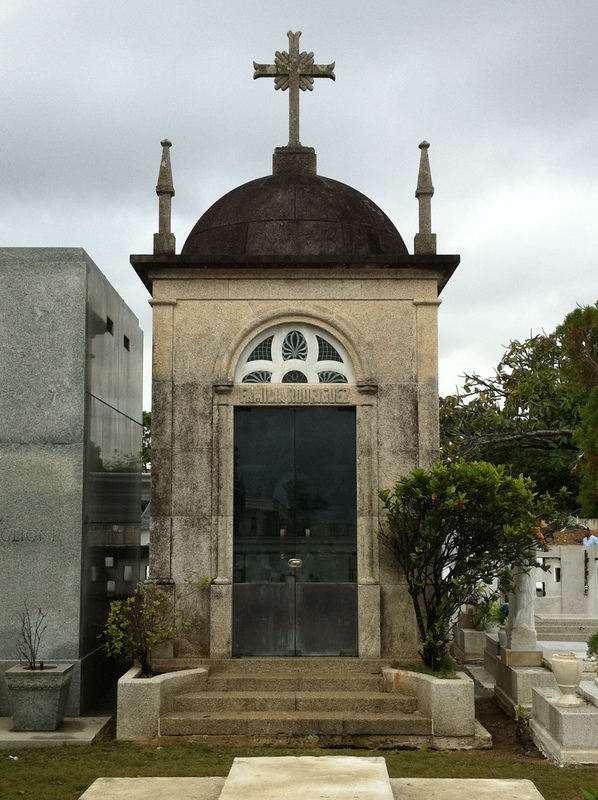 This is a personal family mausoleum. The upper, ground-level portion was originally meant to be a small chapel and would have had an altar just inside the door. 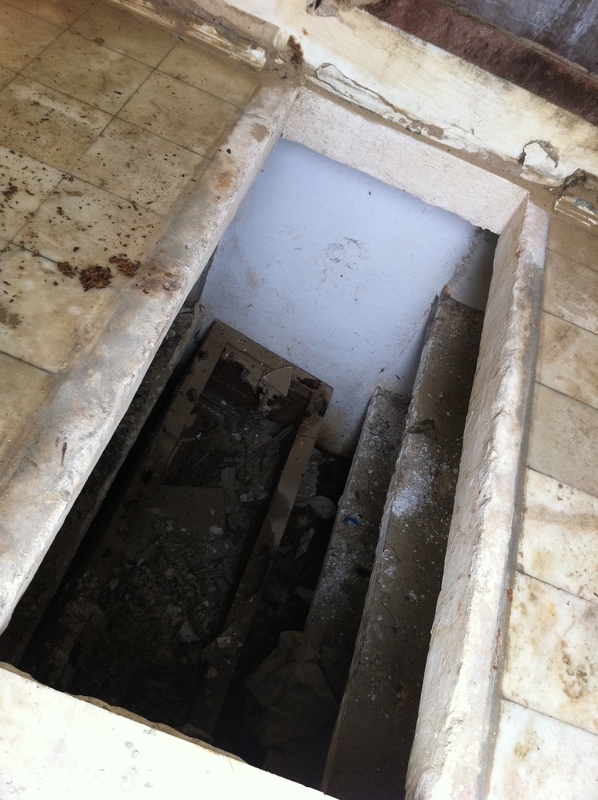 A marble slab would be removed in the floor to access the family crypt where several coffins would reside depending on the size of the structure and the crypt. This one has long been abandoned. 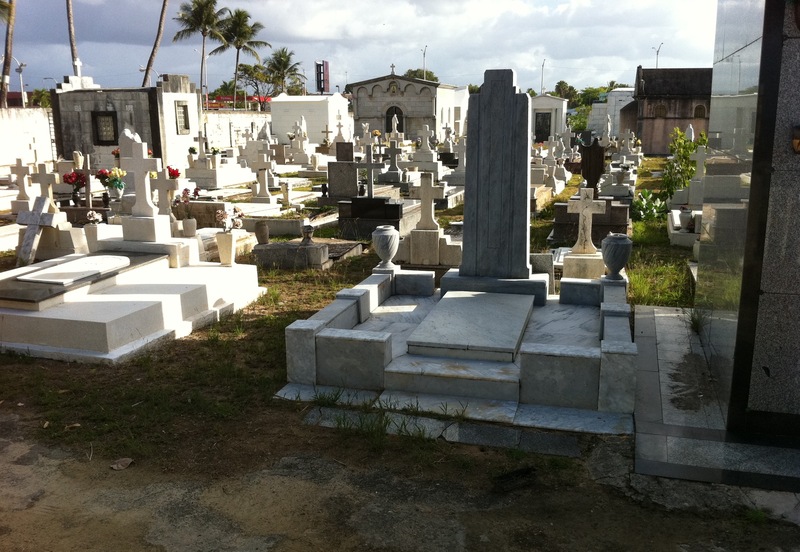 Perhaps the family was not able to keep up the cost of the burial plot and building? Maybe it was desecrated by others. I don’t know, but it certainly conjures a story. 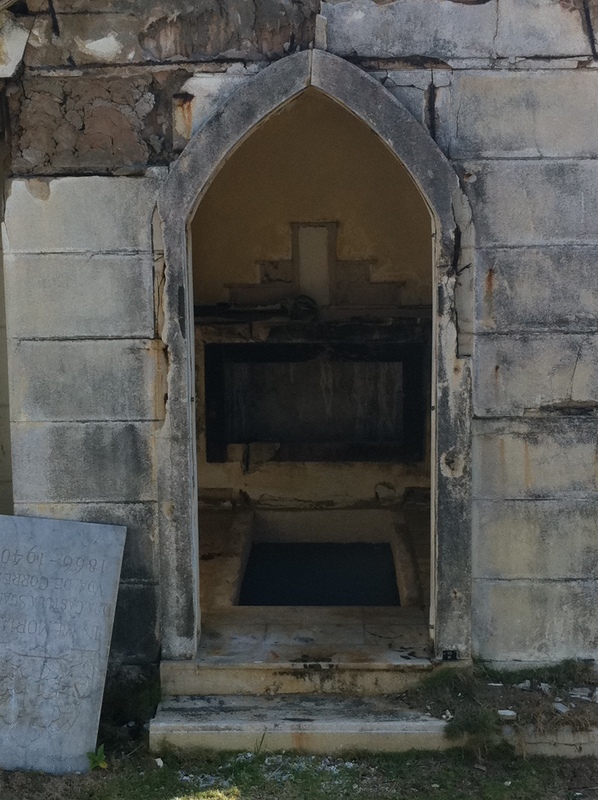 You can see the crypt is open and was empty when I peered in. Very, very eerie. Detail of the abandoned crypt. Looks like “bunkbeds” to rest the coffins on. A very disturbing photo indeed. Did the family take the bodies and relocate them? I hope that is the case. 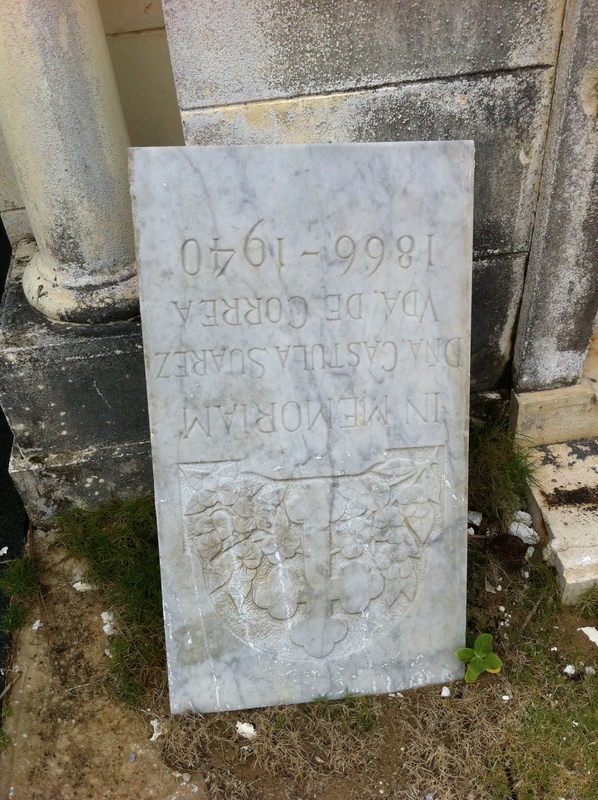 This is the slab that would have covered the crypt. 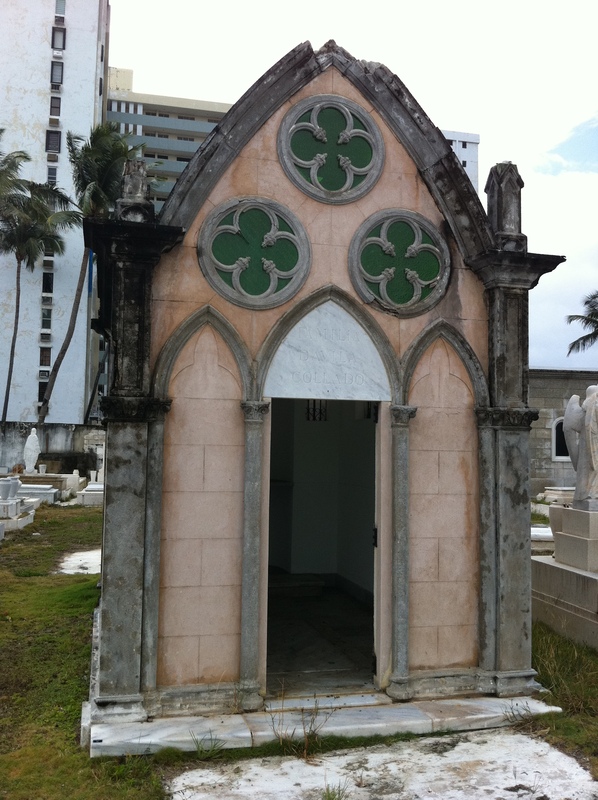 This mausoleum is lacking a door, so it may have also been abandoned. This one seems to be somewhat taken care of. This one is more elaborate. 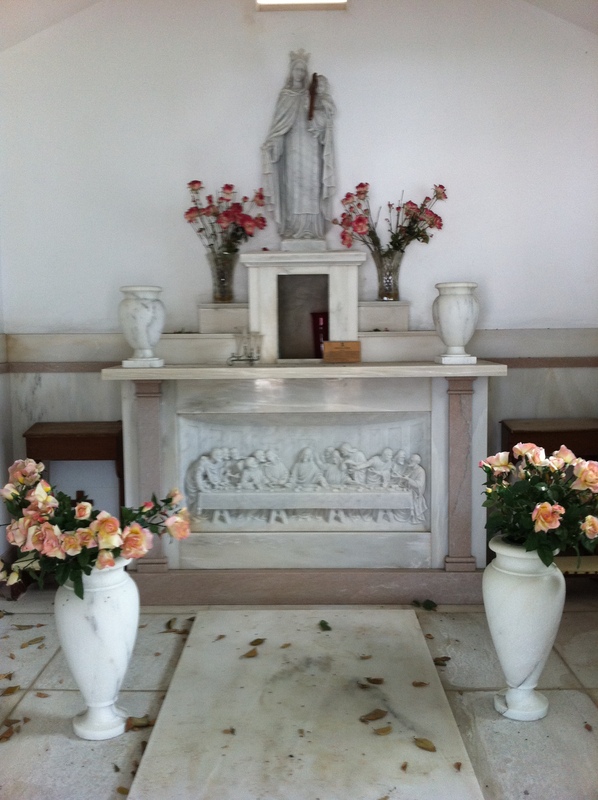 Here’s a typical altar in one of the mausoleums. 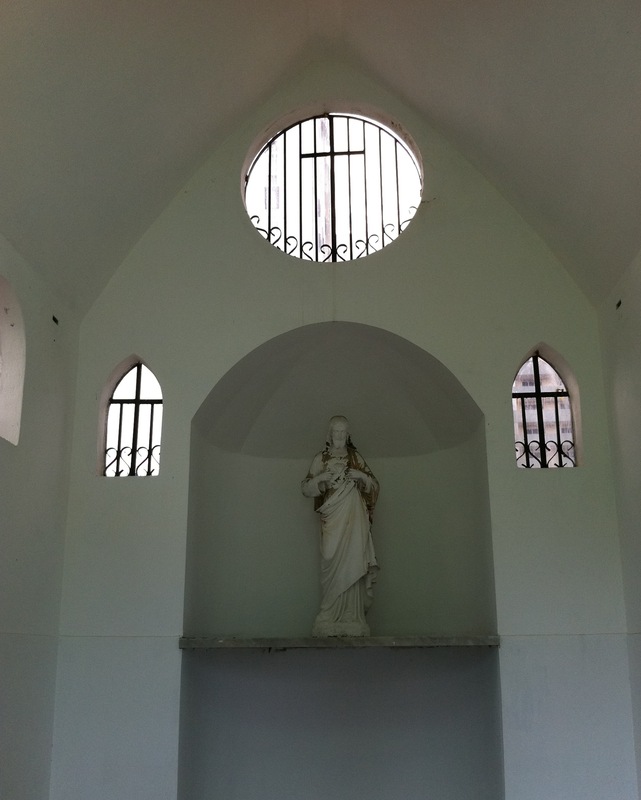 No altar was present in this mausoleum. 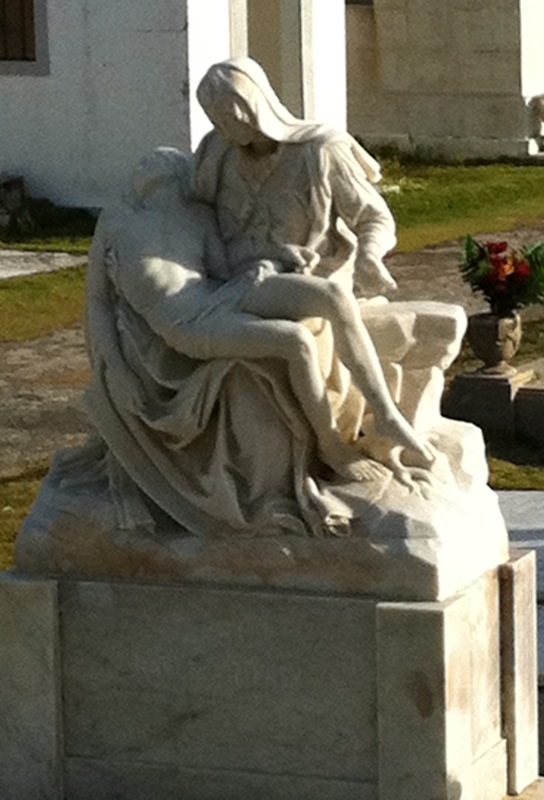 The Pieta is one of the most common statuary depictions. 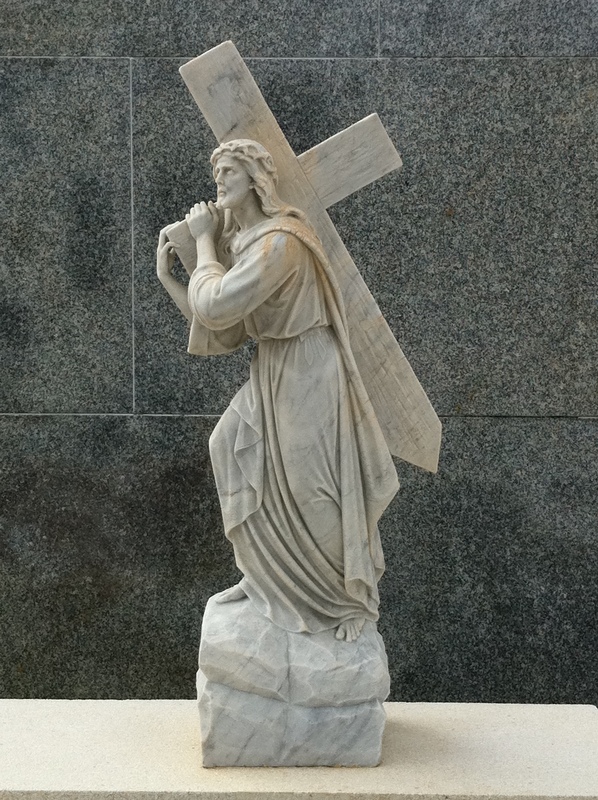 The detail of the statuary is eye catching. 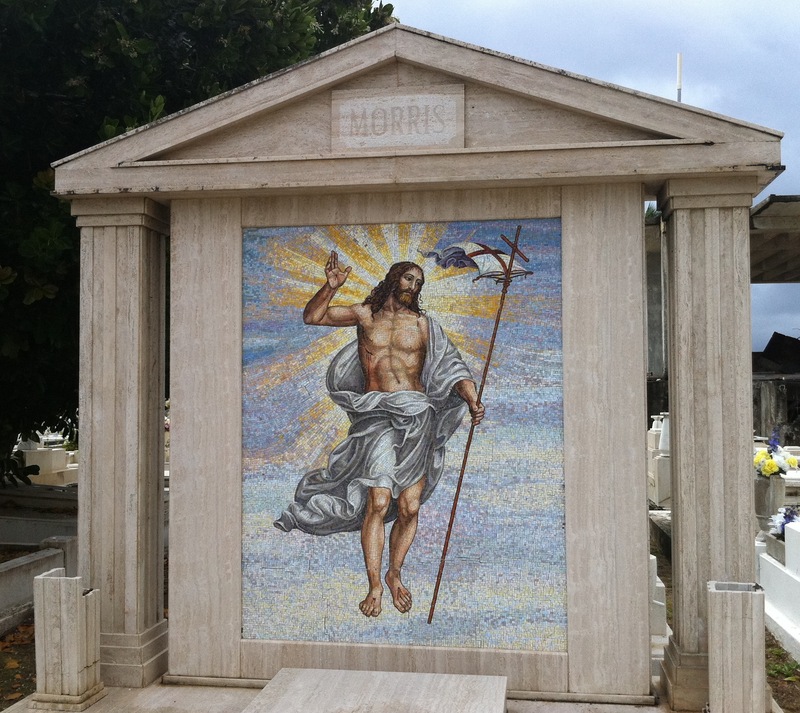 A very well executed tableau done in mosaic tiles. The Good Shepherd and his flock. Todd took this photo through the fence. The single grave’s condition is rather forlorn. These photos leave more questions than answers but they offer a unique glimpse into a cemetery nestled in paradise. I would love to know the story behind this neglected place. I appreciate that Todd could share it with me so I could share it with you. 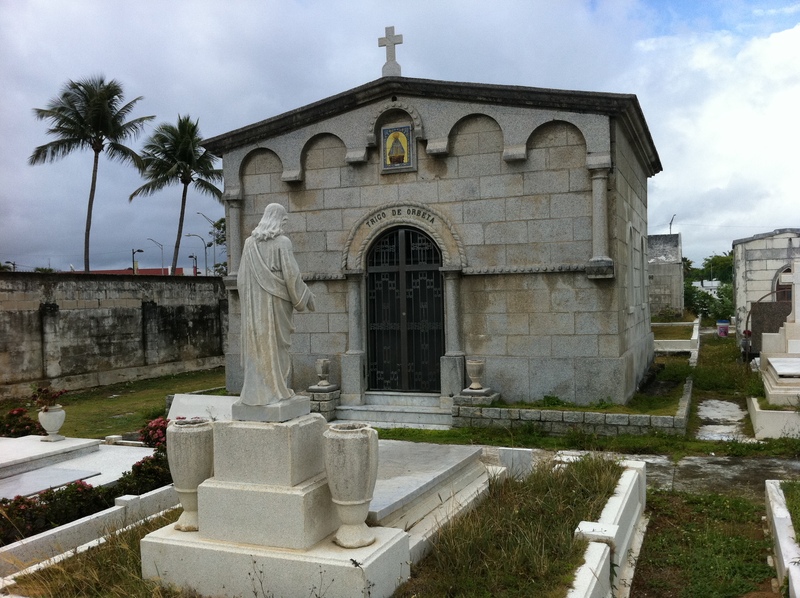 One day I’ll inquire of my PR friends if they know any specific information on that cemetery. 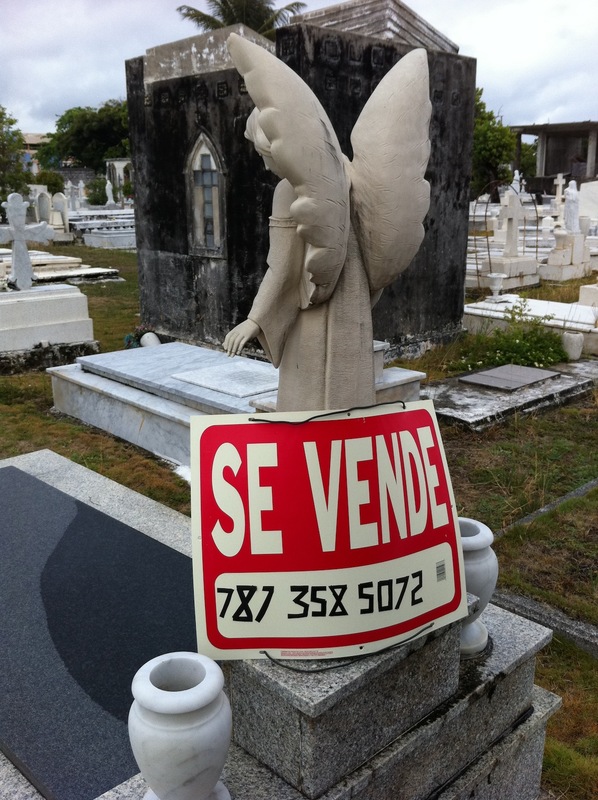 En el nombre del cementerio, le falta una n–ceme*n*terio. Es difícil ubicar su ensayo debido de ésto. Thank you, Barbrah. As you can see, my grasp of Spanish is . I’ve made the changes.